Whether you’re purchasing your first hearing aid or upgrading to a more advanced model, Advanced Hearing Care offers the technology you need to fully adjust to hearing the world around you again. And that’s where Oticon’s BrainHearing technology comes into play. Devices equipped with BrainHearing technology are proven to help those with hearing loss adjust better than regular hearing aids. But what is BrainHearing technology and how does it improve the wearer’s experience? Simply put, BrainHearing technology is designed to work with your brain to hear better, which means less effort on your part to hear the conversation. Drowning out background noise can be difficult when you’re wearing hearing aids, which is why BrainHearing takes the work out of hearing. The technology relies on three components that provides super speech recognition, locates the sources of sounds and enables better understanding and retention of softer voices. Social benefits include better connection with family and friends, enjoying a lively and active life and decreased isolation. With the help of the Inium Sense sound processing platform, devices with BrainHearing technology have 30 percent more processing power, which alters sounds the specific wearer has difficulty hearing. This allows for more a more complete hearing experience by supporting your brain and the way it processes sound. In addition to more support for your brain when trying to hear, devices with BrainHearing utilize soft speech boosters to better hear those quiet whispers. The same sound processing platform makes that possible, offering a 20-percent boost in speech recognition and comprehension. Not only does BrainHearing technology boost your hearing capabilities with less effort, you can also customize your sound experience with the help of your hearing instrument specialist. 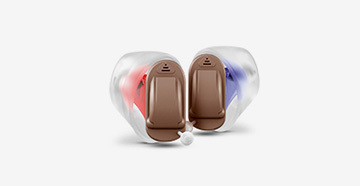 This program offers features that provide flexibility and customization, making it simple to tailor your hearing device to your specific needs. From increased speech understanding to more easily focusing on the right sounds, BrainHearing technology offers a number of benefits to hearing aid wearers. 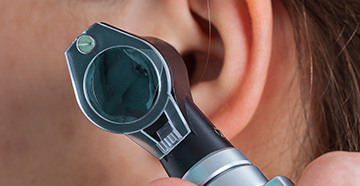 To find out more about this technology and if it’s the right option for you, schedule an appointment with one of our hearing instrument specialists to have your hearing loss evaluated.